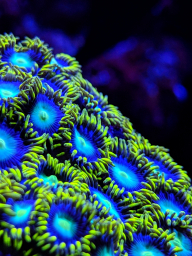 One of the great things about soft corals, are they're pretty forgiving. The main reason most people start off with them, or people fall back to them if they find they don't have the time for LPS or SPS care. That's a great looking tank! An orange BTA would be a nice addition rather then orange zoas imo.